Today I have my first ever guest blogger. Anthony Sloan has been an inspiration to me without even knowing it. When I was going through a rough spot in my life, I found a Facebook group that he is a part of called the Curahee. Every now and then, one of his videos would pop up on my news feed and I’d watch. Little by little, the hard shell that I had been building up for myself was being chipped away at. Anthony didn’t know this, he was just doing what he does best and motivating people to be better humans. He was changing me and we had never interacted even once. I’ve had the opportunity to speak to Anthony online and on the phone and both of us share this weird connection, that we were meant to be friends for life and that our families are going to be close someday. So thank you Anthony, for being the man you’ve worked hard to be. We aren’t there yet brother but we will die trying. Without further ado….I give you Anthony Sloan. In 2005 I found myself In the middle of Afghanistan. My wife was eight months pregnant when our Unit left, so in our first month there, she gave birth to my daughter, Brianna. Our deployment there was supposed to be 6 months long. Now if you’ve been to Afghanistan, you know that they love to fight – and die. So every time that we went outside of the FOB (Forward Observation Base) on mission, we would get into a firefight. 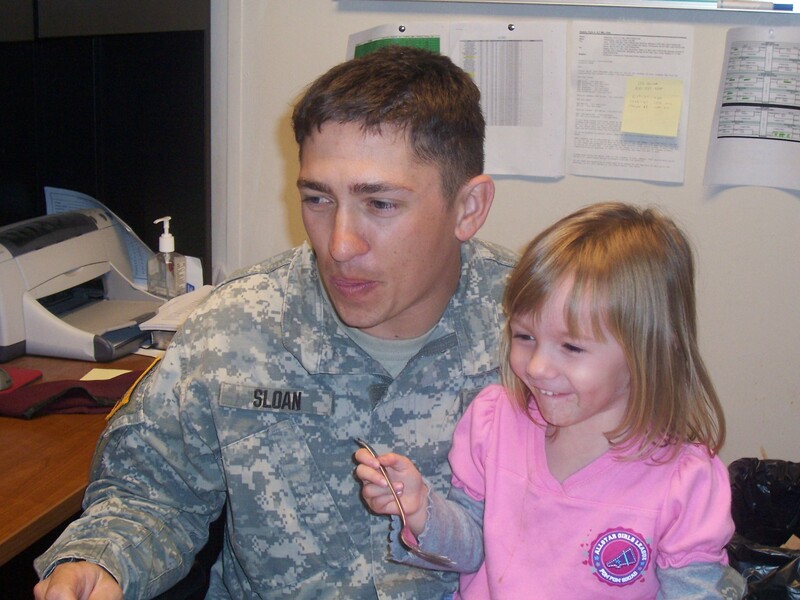 So the first firefight I was in after my daughter was born, I felt something that I had never felt before. I was afraid! I know most of you are reading this right now and thinking “He’s been afraid before.” This was a different kind of fear! I was afraid I would never make it home to see my wife, to never even get the opportunity to see my daughters face, and to never get the opportunity to kiss her little cheeks. This fear was like something that I’ve never felt before. So in that moment I had two different ways I could’ve reacted, I could’ve froze and did nothing, or return fire and fight for my life. I believe men and women have to face fear at least once in their life. Maybe it’s not the fear of death, like I had to face; maybe it’s the fear of growing. You see, we go to school and learn for so many years only to become adults and forget that we are supposed to keep pushing ourselves and growing as human beings. Most of us will spend a lifetime standing still and watching the opportunity pass us by. That day in Afghanistan I had a choice to live or die, to freeze up out of fear, or fight like my life depended on it, cause it did! So how can fear, growing and learning all tie together? How can fear change your life for the better? You see as fathers and mothers we have to grow daily, pushing ourselves to learn something new and forget the fear of trying! Just the fear of trying alone can kill you. It will make you freeze up in life and instead of doing something, you will stand and watch life pass you by. Then one day you will be old and gray and the only thing you will be able to remember is what you didn’t do when you should have done it. The moment that would have given you the perfect job, but you didn’t do anything to get it because it interfered with your current job. How about that moment where you could have been a better father or husband? Instead you failed by spending all of your time at work making money, instead of at home spending time being the father and husband that your family wanted you to be. Your growth just doesn’t affect YOU anymore. What you do affects everyone around you. More importantly, it affects the children that you have or the ones you will have someday. I got out of the military in 2011 and I found myself in a world I didn’t recognize anymore. It wasn’t so much that the world had changed, but more that I had changed. I didn’t feel like I belonged in an environment other than war anymore. Then I got around people and realized that they live everyday like the day before. They go to the same job and do the same thing every single day, and technically they don’t have to really grow. Now I was in the same boat, and instead of growing I slowly slipped deeper and deeper into depression. My PTSD (Post Traumatic Stress Disorder) started to slowly eat away at my head. I started to believe the lies in my head that I didn’t belong and that my life should have been taken away in another country. I believed that my family would have been better off with the $400,000 life insurance policy than to have me in their life. I was hurting so bad and it caused me to start pushing my family away because I couldn’t explain to them what was going on in my head. I was still praying, I was begging God to take these thoughts from me. Then I believe God answered my prayers and my wife changed our lives forever. Jennifer wanted to lose her baby weight and decided that we were going to start our own online fitness business. At this point in time I was drunk at least 90% of my day. 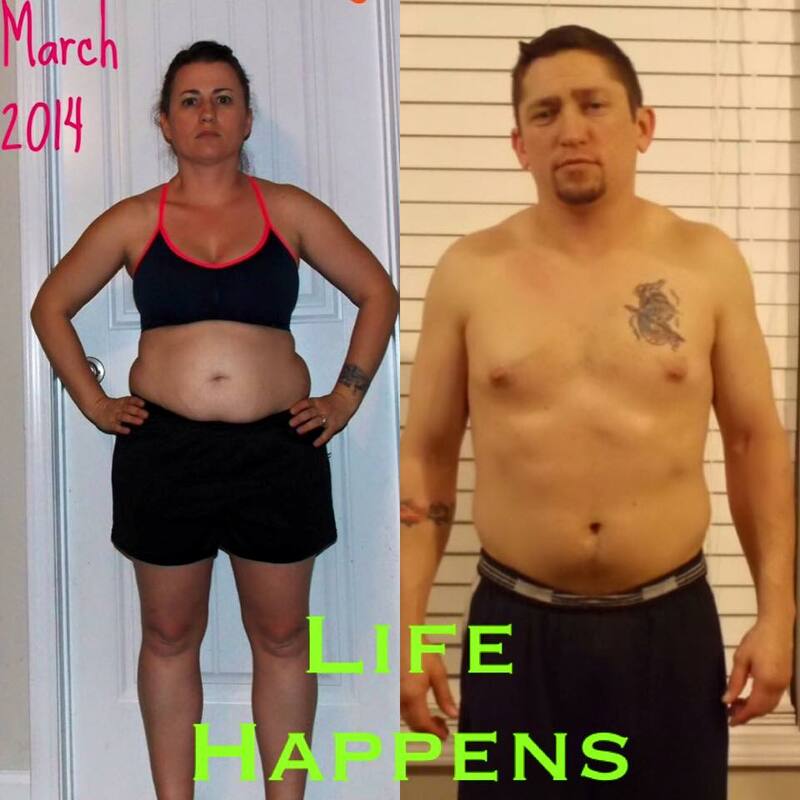 So Jenn started fixing our nutrition, she started to shop better and made sure that I would drink my shake everyday. It was such a drastic change for my mind, body, and soul. Just by switching up my nutrition I found myself being a much happier person. I had been around while my wife was making daily exercise a priority for herself; it began to make me want to do it also. So after a few months of not being able to do the gym anymore due to my time at work and the hours I worked, I started to try the 30 minutes a day workout and I began to really enjoy it! I was seeing great results! Then as the time progressed, I enjoyed it more and more until I started to work out with her everyday. It was always only a 30-minute exercise, and not very often was I doing weights. For a guy that grew up in the gym, in a weight room, since he was 12 years old, this was awkward for me. But then all of a sudden I started to notice I was a happier person, I was living life Instead of life taking over and being this monotonous action that I felt like I had to suffer through. Then again, all of a sudden I started to notice a different self-confidence. I started feeling good about who I am and started to push myself daily in my workouts. I tried to go harder than the day before. I had an image of what I wanted my body look like, so I pushed myself every single day to get there. As my self-confidence changed, I became a new father, and a new husband! I believe that our bodies want nutrition and exercise. Just think about it for a second, if your body was a machine, what would make the machine run correctly? Would it be drinking an energy drink everyday? What about eating at McDonald’s? Would that make your body run the way it should and to the best of its abilities? What did you do today, that will change the lives of others around you? I want to thank Gerad for the opportunity for me to write this and share my heart and life of transformations. I also want to thank our team, Warrior Team Fitness! 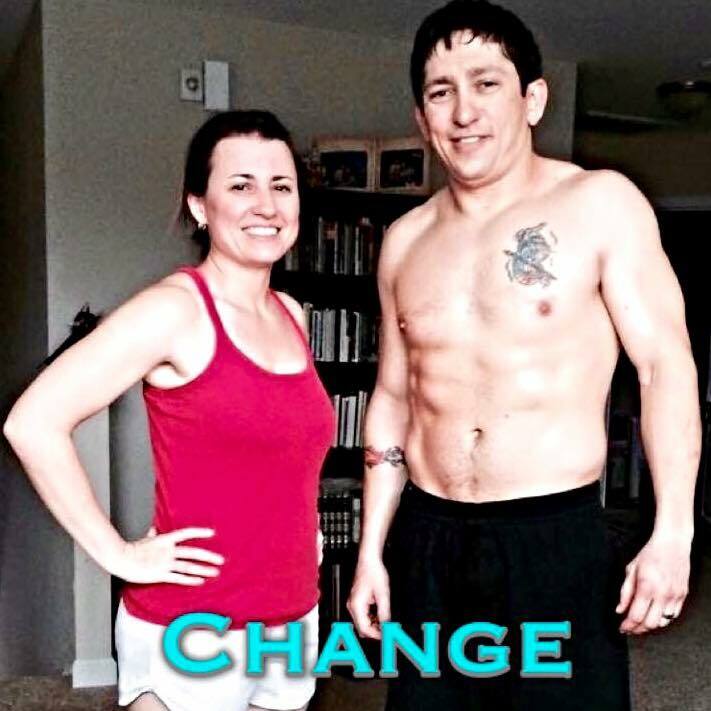 Warrior Team Fitness is the team Jennifer and I have developed with others having the same passion to change lives around them with daily nutrition and exercise. I love that we are changing lives for the better! Building a stronger world through 30 minutes of exercise and nutrition easily accessible because of online accountability and also giving people the opportunity to work for themselves and change lives and homes at the same time.